What is file manager? How to install it? 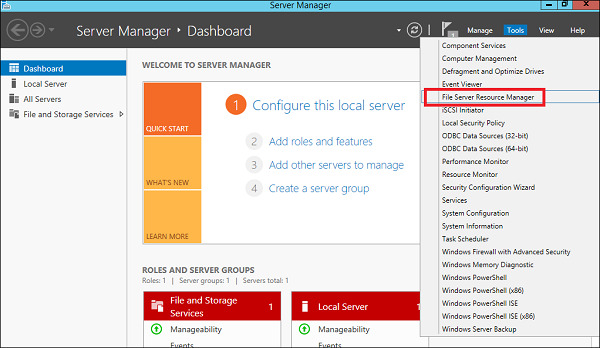 Windows Server 2012 version has a File Server Resource Manager Role like older versions. 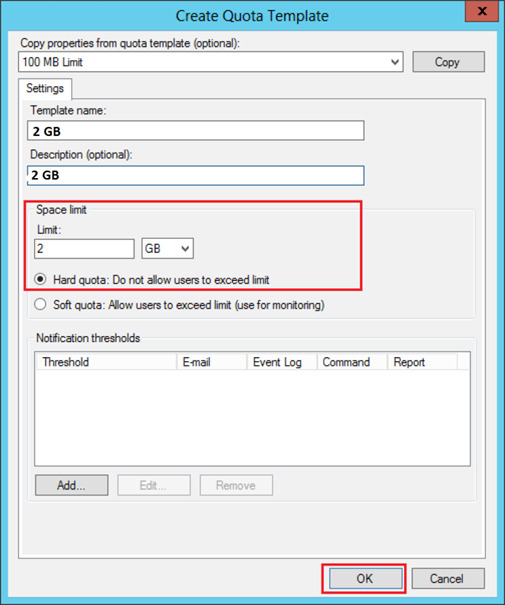 The main role of file manger is to manage shared folders in the features link in setting up limits or file extension restrictions. Follow below steps to install it. 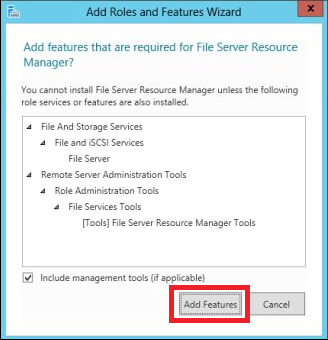 Step 1 − Go to Server Manager → Manage → Add Roles and Features → Next → Check onthe Role-based or feature-based installation box → Check on the Select a server from the server pool box → Next. After that the list of the roles find File and Storage Services and expand it. 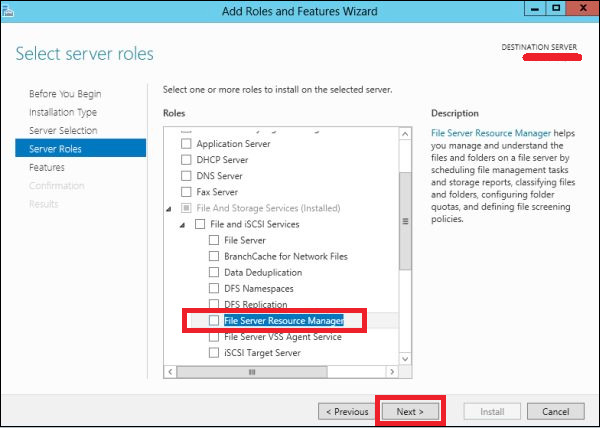 Now expand the Files and iSCSI Services → Check on the File Server Resource Manager box and then a pop-up window will open. Step2 − Click on Add features and then → Next. Step 3 − Click the Next button. Step 4 − Click the Install button. 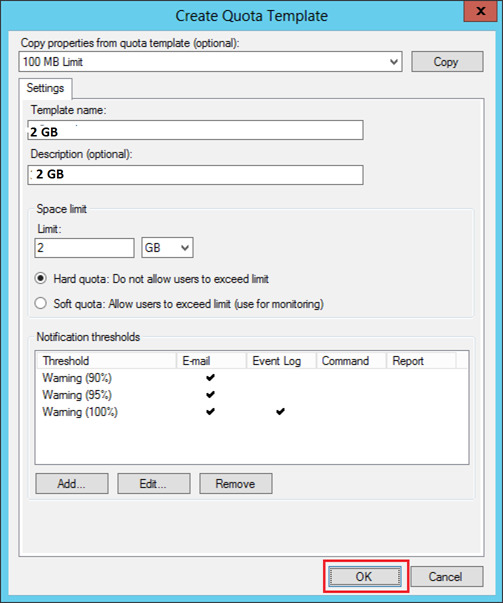 After installing the File Server Resource Manager, let’s open it by following the path. 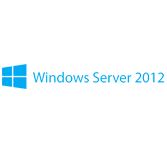 Step 1 − Click on Server Manager → Tools → File Server Resource Manager. 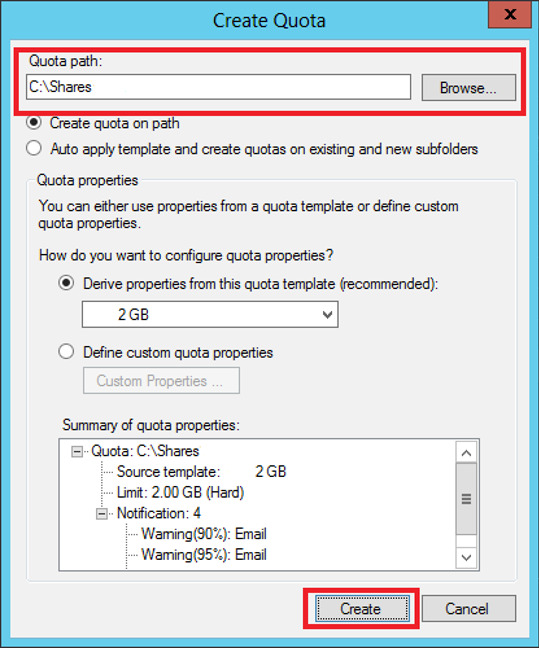 To set quota to a folder, we should follow the steps as below. 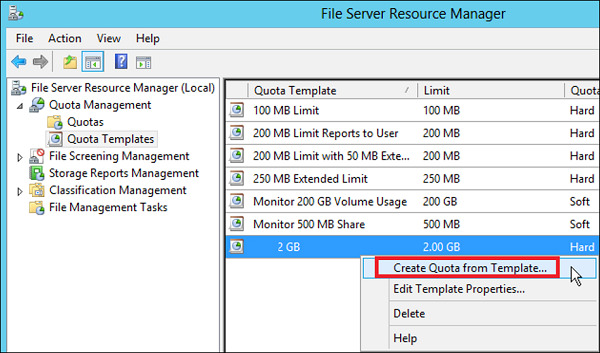 Step 2 − On the left panel click on Quota Management → expand Quota Templates → click on Create Quota Template… on the right-hand side panel as shown in the screenshot given below. Step 3 – After that a new table will be opened, where the most important aspect to put is Space Limit depending on the need. Here, we will put 2GB and then → OK. 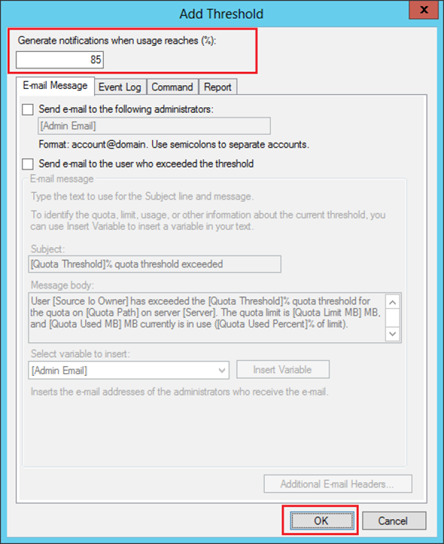 Step 4 – After the folder reaches the capacity, then it will send you a notification you need to put the email. 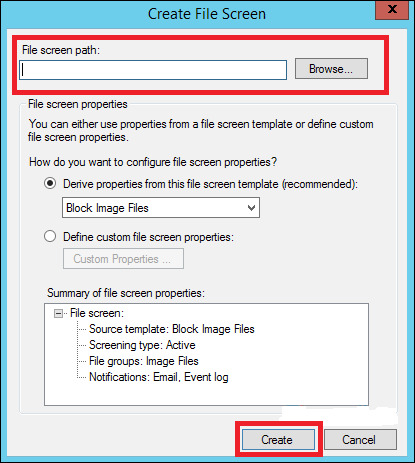 Step 7 − Click on Browse… and then select your folder → Create. Step 9 − Click on Browse… and find the folder that you want → Create.